The Nigerian President, Buhari is said to leave for the UK Tonight. The news came few hours to his take off, which has got many talking already and hoping all is well with him. People are praying and hoping that it is not an emergency as it is impromptu. 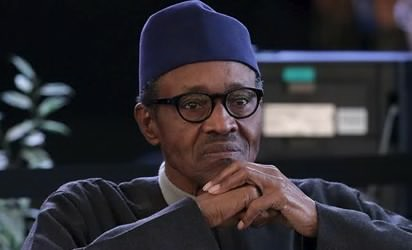 The last time President Buhari returned back to Nigeria from a medical vacation which lasted for more than 8 weeks, he said " I have never been this sick in my entire life" and also told the press that he will be traveling back after some weeks for check-up (to people's greatest surprise, he didn't travel again until now). President Buhari is traveling few hours after his meeting with the released Chibok girls, release which took place yesterday after negotiations with the Boko Haram terrorist group and exchange. A statement signed by Presidential Spokesman Femi Adesina said the President initially planned to leave on Sunday afternoon but had to wait to receive the 82 freed Chibok girls. Tonight I leave for London, to see my doctors. When I came back in March, I hinted that there might be a need to return soon, for a follow-up medical consultation. I have sent the required letters regarding my trip to the Senate and the House of Representatives, in line with Section 145(1) of the 1999 Constitution. Vice President @profosinbajo will take charge in my absence. Government will continue to function smoothly and efficiently. I'd like to assure all Nigerians that there is no cause for worry. I appreciate your prayers and kind wishes. May God continue to bless the Federal Republic of Nigeria.